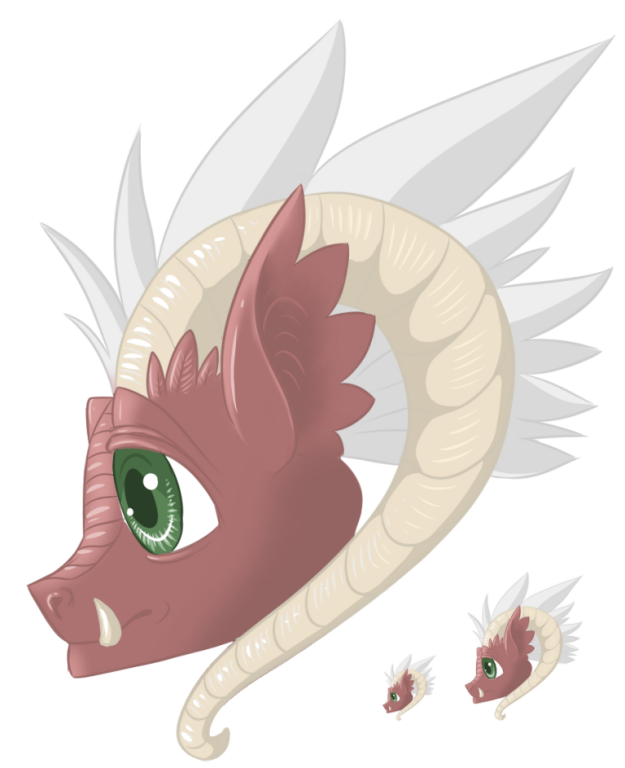 Decided to draw a full-color head of a male Wyrm Norn, along with a couple miniature versions to see what it might look like in-game. For those who missed it, the Wyrm norns are one of my original breed concepts; I posted their concept art a few months ago. I'm probably not going to make these into a breed myself, but it's just fun to imagine! If anyone out there wants to pick these up and develop them, feel free - just credit me. Love them. Dont give up. Spooky right lol. I did a double take when I saw yours uploaded! Daz, I'm freaking out lol. You're right! After reading your comment, I dug through your gallery posts and found them. They could be cousins! And Sol, thanks so much! I'm glad you like them! The lil baby tusks are an amazing detail. yours is cuter! i love the ears!